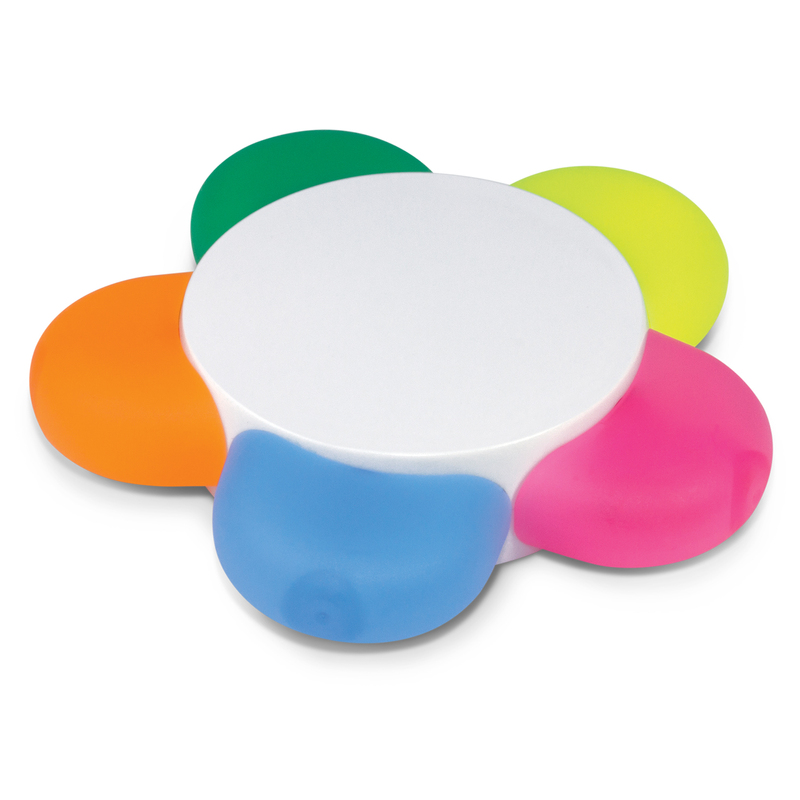 A flower shaped highlighter with a great branding space for your logo. 5 petals and 5 different coloured highlighters. These highlighters are shaped like a flower and are a guaranteed way to brighten anyone's day. 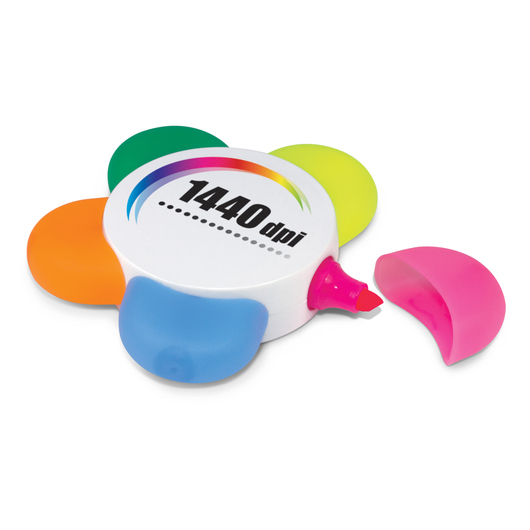 A great stationery item to keep handy on your desk or in your pencil case when you need to highlight important information or notes.